For those fans who are interested in not only the history of the franchise, but the props and masks that were created for the films, there is no mask more legendary and talked about than the hockey mask of Friday The 13th Part 3. The screen used mask in the film has since been lost, stolen, or possibly locked away in Fort Knox, but the stunt mask has survived and is now owned by a fan named Dario Latinovic. For those custom mask makers and franchise collectors, it is a passion to create or find a replica mask that comes close to what is seen in Part 3, and one custom mask maker, Jason Farrell, recently posted a cool blog entry about the coloring of the mask in the film. Below is small portion of his thoughts on getting the right coloring of the mask. For starters, do not trust what you see in the film. Lighting can affect the appearance of the mask, as can color timing in post production. So how do we really know what color it was? Well back in December 2010 I asked Robb Wilson King, the art director who worked on Friday the 13th part 3 and painted the originals. He described it as a "cream color" created by a "slight aged patina" over an off-white base. I took this to mean that the "cream color" was some sort of translucent glaze designed to give the mask weathering some depth, but can't be sure. 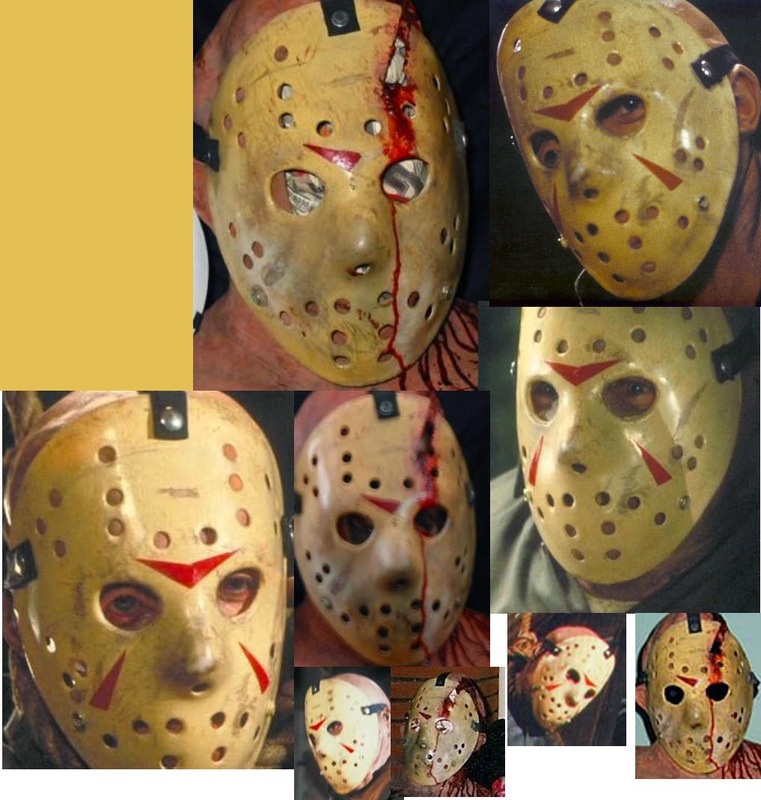 If you want to find out more about Jason's idea of coloring the mask from Part 3, check out his blog at http://jasonlivessince1980.blogspot.com. For those mask makers out there, how do you color your masks from this film? If you collect masks, will you use these ideas to search out a mask made closer to this coloring in the future?